« Scott Niedermayer joins the Hockey Hall of Fame. The college hockey season begins in a month and something puzzles me. This season’s Frozen Four will be played at the Wells Fargo Center in Philadelphia, yet the overlords at the NCAA have yet to choose any destinations after that. It’s unusual that the NCAA would delay this announcement so long — they’ve planned well in advance in the past — so maybe they have a cool idea to try out. Hopefully it’s not another attempt at playing in an indoor football stadium. The folks in Indianapolis will supposedly make their selections in November, but to help them decide, I’ve compiled a list of destinations that would be great hosts for college hockey’s premier event. Midwestern and Western areas since the FF has been on the East Coast the past three years. 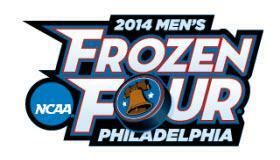 Believe it or not, one of the most hockey-mad cities in the country has yet to host the Frozen Four. It’s time to make it happen. The Blackhawks ended their Stanley Cup drought three years ago, started last season with a huge undefeated streak that captured that nation’s attention, then hoisted the Cup in June. Due to hockey’s immense popularity in the Windy City, the NCAA can be assured that the event will sell out quickly. Chicago is also a frequent destination for travelers and has plenty of entertaining between-games diversions in April. Just look across the border, NCAA. The perfect location is right next to you. The Scottrade Center may not be the first destination that springs to mind, but St. Louis loves its hockey. It’s hosted the FF twice before and the 2007 tournament was successful. The Blues are also becoming relevant again, winning the Central Division in 2012 and heavily pounding the Kings in 2013, making them easy pickings for Chicago in the Conference Finals. With local enthusiasm renewed, the FF should do very well once again. Looking for tourist destinations? St. Louis has enough to fill out a weekend, but not so much that you feel like you missed something. The Gateway to the West has worked for you in the past, NCAA. It’s time to come back. Colorado is one of the most hockey-hungry states behind Minnesota, Massachusetts and Michigan. The Avalanche have struggled the past few seasons but remain popular in the city. Denver also has a successful college program in the city with DU, while Colorado College and Air Force are right down the road in Colorado Springs. The Mile High City’s most recent FF was in 2008, when a powerhouse Boston College team wiped the ice with its opponents. Attendance was great anyway. For stuff to do, there’s the mountain scenery, museums, performing arts centers, local breweries and Coors Field is a cool ballpark to visit. The reason I placed my home state, the State of Hockey, so low is that it hosted the FF just three years ago. It will be back soon, though. The Twin Cities love the Wild despite the team’s inconsistency, follows the Golden Gophers heavily, and brings lots of fans to the WCHA Final Five every season. There’s also a lot to do in the area with the Mall of America, museums, Twins games at Target Field, theaters for the cultured hockey fan, and more. The NCAA brings the FF back to the Cities once every decade. By 2020 it will be back, though it could happen a lot sooner. I’m combining these together because they can be booms and busts when it comes to the Frozen Four. The last time Detroit hosted the FF was the 2010 tournament at Ford Field, home of the NFL’s Lions. This was flawed for many reasons. The obvious ones: the venue was indoors (hockey in football stadiums are successful when they are held outside in harsh conditions) and had a hard time getting football fans to show up. It also looked weird watching it on TV and some stopped watching because of this.1 If the NCAA thinks logically and places the games at Joe Louis Arena this time around, Detroit could be a great location, full of rabid Red Wings fans. Michigan and Michigan State are close enough. Despite the hardships the city is going through, there’s still a lot to do. California is a bigger risk. The last time the Golden State hosted the FF, it was placed in Anaheim and it had obvious attendance issues. If the FF were to return to California, now would be the time. With the success of the Kings, Sharks and Ducks, hockey has never been more popular in the state. There’s also more than enough stuff to do to fill up the weekend and like Tampa, would be a nice place to relax between games. They would have to think carefully and market the tournament heavily, but I think it could work this time around. After the NCAA chooses some Western venues, I also offer up these Eastern destinations. Beantown will probably be the first city considered after a western location for 2015. Boston loves its college hockey, evidenced by the nonpareil Beanpot Tournament every February. It also is a prime location for New England teams who will flock to the TD Garden in droves if one of the Hockey East teams makes it to the Frozen Four. The Bruins are also once again one of the top teams in the NHL, winning the Cup in 2011 and coming close to winning it again last season. As some of the other big cities, there’s also a lot to do and if the Red Sox are playing at home, there’s a great place to spend your Friday evening. Boston, like the Twin Cities, will also host the FF once a decade and its time will come again very soon. After Boston, Buffalo is the best Frozen Four location in the Northeast. Hockey is very popular in upstate New York and it’s been a decade since Buffalo hosted. With college hockey displaying more parity nowadays, there’s a good chance teams from the ECAC and Atlantic Hockey could make it to the FF, which would make attendance even better. Buffalo may lack the tourist hot spots of Boston, but there’s a good nightlife, museums, a zoo and botanical gardens. A solid choice. The home of the Blue Jackets and Ohio State has hosted the FF only once, in 2005, but the reviews were positive. Even though the Blue Jackets have yet to capture the city’s attention, Nationwide Arena is one of few popular destinations in Columbus. With a major college hockey team in town, the FF wouldn’t suffer from attendance issues. The Columbus Zoo and Aquarium is a popular tourist spot along with the Center for Science and Industry (COSI), which my wife heavily endorses, and the Museum of Art. The Big Apple may be on a lot of people’s short lists for FF destinations, but I’m wary of it. Sure, there’s a lot to do and seeing a game in a legendary arena like Madison Square Garden or a sparkling arena like the Prudential Center would be fun. At the same time, the NCAA would have to think about this: Would the natives care? New York/New Jersey may love hockey, but there are zero college hockey teams in the vicinity and the closest ones aren’t national powerhouses. 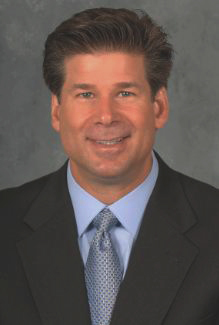 The area is packed with professional franchises, so college hockey wouldn’t be a priority. It would be further down the list, but I could see the NCAA giving the area a shot just to see if they could pull it off. The NCAA has always wanted to expand the popularity of hockey to different regions of the country, so here are two possibilities. The first is Raleigh, home of the NHL’s Hurricanes. North Carolina on the whole isn’t a hockey mecca, but the Hurricanes are surprisingly popular in the city. Raleigh also offers museums and parks to tourists as well as a warmer climate for hockey fans who are tired of snow by the time April rolls around. The other possibility is Nashville. The Music City obviously has more to offer tourists than Raleigh does. There would be lots to do, but would the city rally around hockey? Forbes reports that the Predators are operating at a loss in a metropolitan area of 1.6 million residents, and college hockey was a bust when Alabama-Huntsville attempted to play a series here two years ago. Attendance was almost nonexistent. If the NCAA truly wants to expand the game to new areas, these would be the two places to go. I just don’t see them choosing either, but they’ll probably consider it. If the Frozen Four can be successful here, it can be successful almost anywhere. 1. I stopped watching because BC was destroying every team it faced.